The first antibody treatment to prevent migraine (Aimovig), produced by Novartis, is on the cusp of approval. The European Medicines Agency (EMA)’s Committee for Medicinal Products for Human Use (CHMP) announced the positive opinion for Aimovig (erenumab) for adults who suffer from migraine at least four days a month. On approval, Aimovig will be available as a 70mg solution to be administered by auto-injector pen by the patient, once they have received appropriate training. The CHMP positive opinion is based on data including four Phase 2 and 3 clinical studies of more than 2,600 patients experiencing four or more migraine days per month. Patients suffered fewer days per month with various types of migraine when treated with Aimovig, compared to a placebo. In the clinical programme, half of those with episodic migraine (four to 14 monthly migraine days) taking Aimovig had their number of migraine days cut by half or more. Those with chronic migraine (at least 15 monthly migraine days) achieved a similar, statistically significant response. Aimovig works by blocking the activity of calcitonin gene-related peptide (CGRP), a molecule that is involved in migraine attacks. Migraine does not have a cure, so this drug could have a hugely beneficial impact on the lives of people who suffer regular attacks. The World Health Organisation lists migraine as one of the top 10 causes of years lived with disabilities worldwide. The disease involves recurring attacks that cause moderate to severe head pain and is often associated with nausea, vomiting and sensitivity to light, sound and smells. 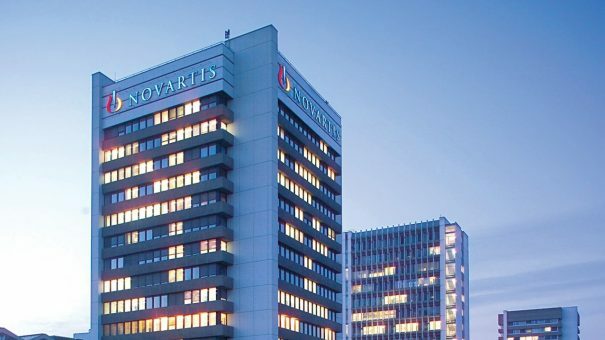 Paul Hudson, CEO at Novartis Pharma, said, “We are excited to be one step closer to bringing the first targeted migraine prevention therapy to patients in Europe. The most common adverse side effects of Aimovig were injection site reactions, constipation, muscle spasms and pruritus. The next step is for the European Commission to consider the positive CHMP opinion prior to Aimovig being authorised for EU-wide marketing, which usually happens within three months of this first step. The US Food and Drug Administration approved Aimovig last month and additional regulatory filings are underway in other regions worldwide.